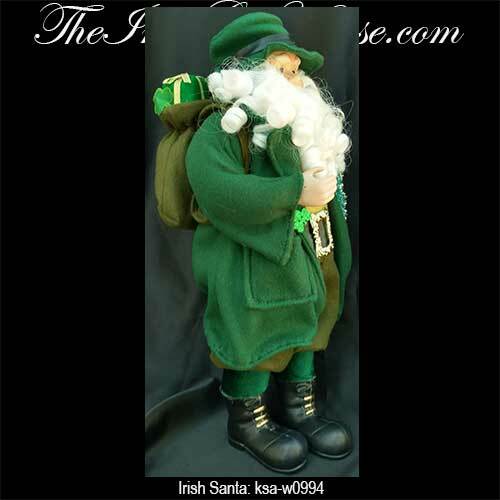 These Irish Santa figurines and ornaments are fantastic Irish Christmas decorations and you may want to display your Irish Santa Clause throughout the year. 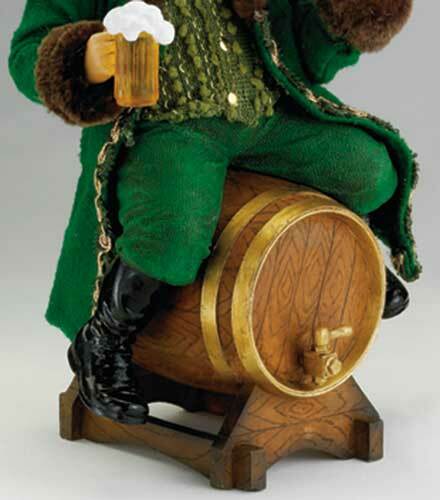 The assortment of Irish Santa figurines at The Irish Gift House features plenty of shamrocks and green coats. 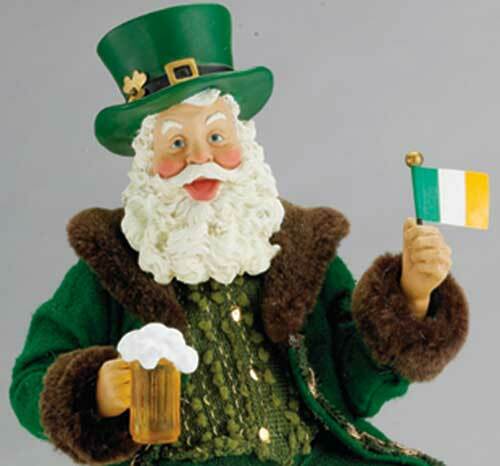 Several of our Irish Santa decorations are musical and you may wind them to play popular Irish melodies. 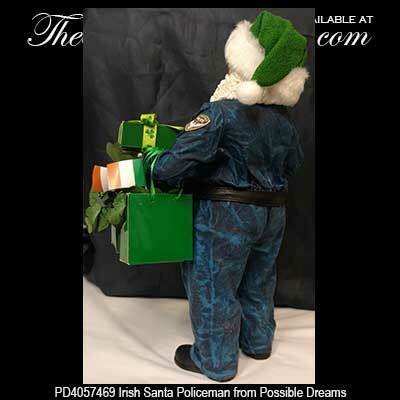 Occupational designs include the Irish Santa fireman and the Irish Santa policeman; these Celtic St. Nick decorations bring good tidings and good cheer! 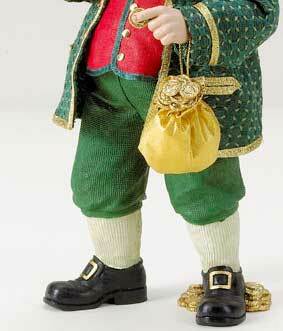 Our collection of Celtic Father Christmas decorations includes figurines from Kurt S. Adler and Possible Dreams. 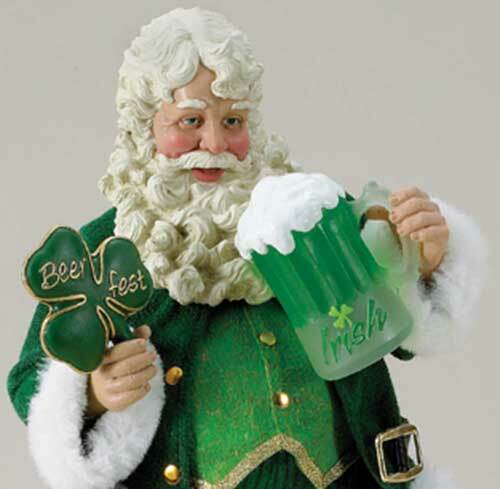 Musical Irish Santa plays When Irish Eyes are Smiling. 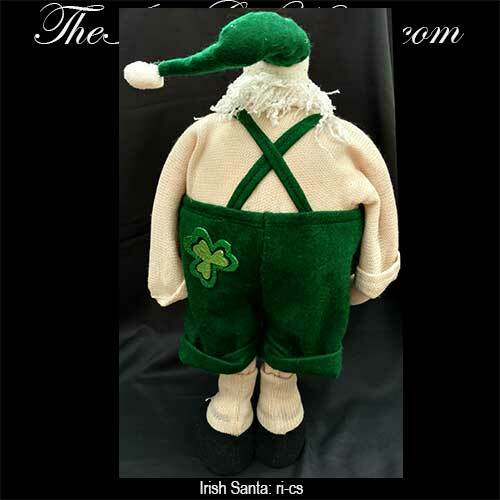 This Irish Santa features a porcelain face and hands along with a cloth suit and shamrocks. 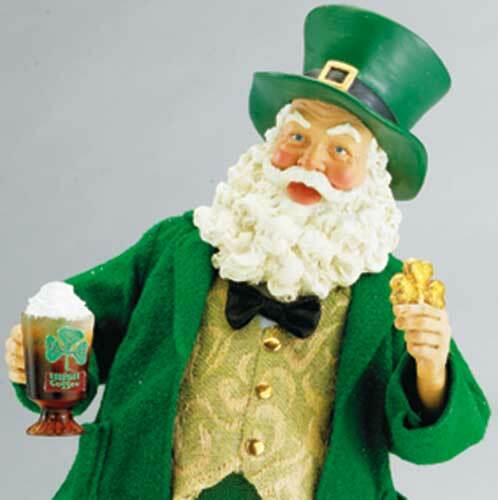 This Irish Santa figurine is seated for tea. 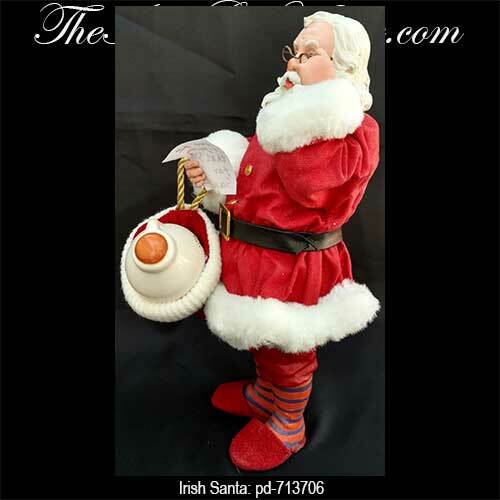 This Irish Santa features a porcelain jug of Irish whiskey in his sack. 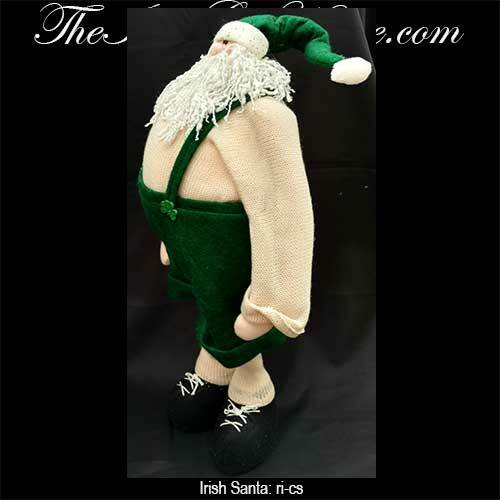 This Irish Santa with shamrocks features a bulbous cloth body with a pin head and a mop beard. 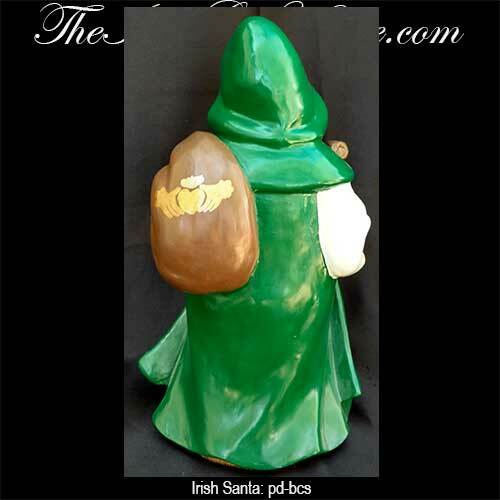 This Irish Santa features a hand painted rendition of Blarney Castle pained in his robe. 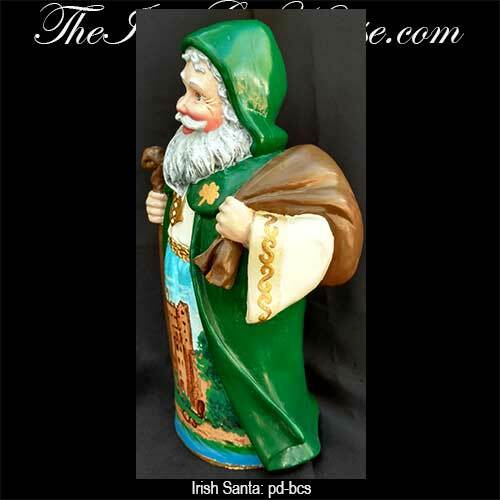 This Irish Santa figurine is enhanced with shamrocks and Celtic knots. 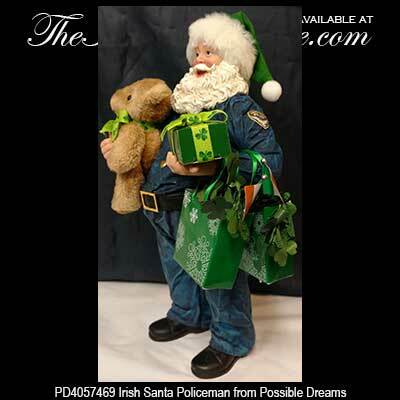 This Christmas pillow features an Irish Santa along with shamrocks. 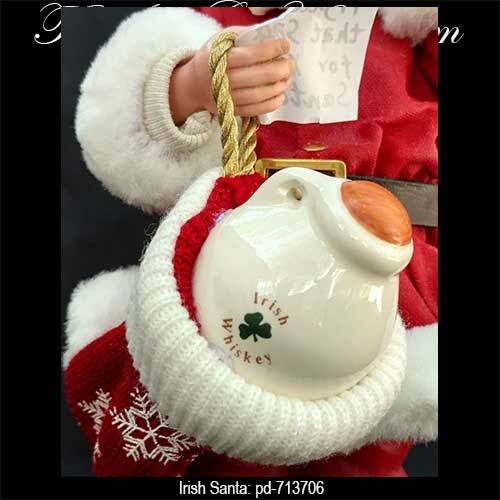 This Irish Santa Christmas ornament features a sprig of shamrocks and the Irish flag. 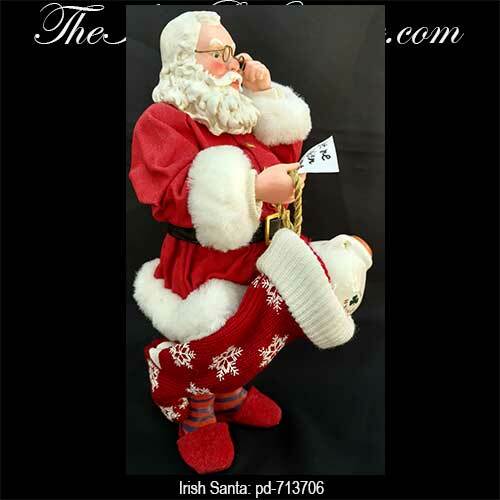 Irish Christmas ornament features a functional Santa puppet on strings. 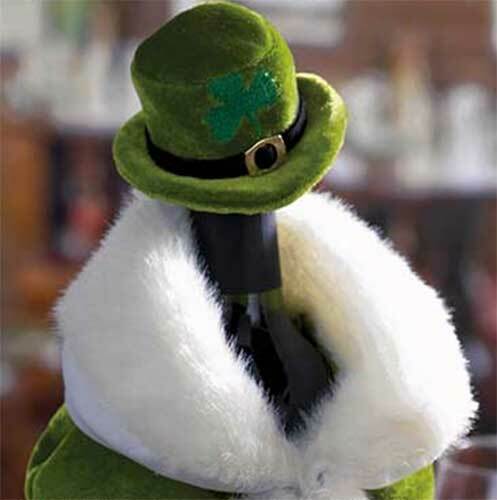 The Irish, both in Ireland and in the United States, love to celebrate and Christmas is a joyful occasion for merriment. The season starts with Advent on the fourth Sunday before Jesus' birthday, for which we have a selection of Celtic Advent wreaths, and continues through the Feast Day of the Epiphany on January 6. 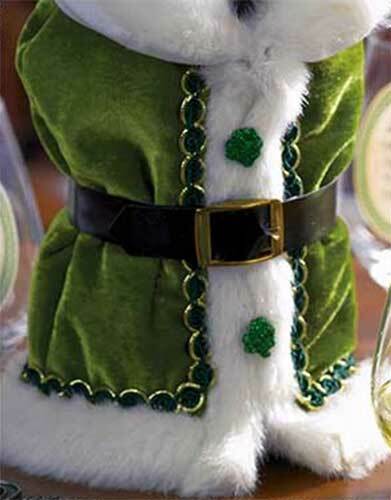 The Irish Gift House can help your festivities with our grand selection of Irish Christmas decorations; we have a huge assortment of Irish Christmas ornaments that includes a vast selection of Belleek ornaments. 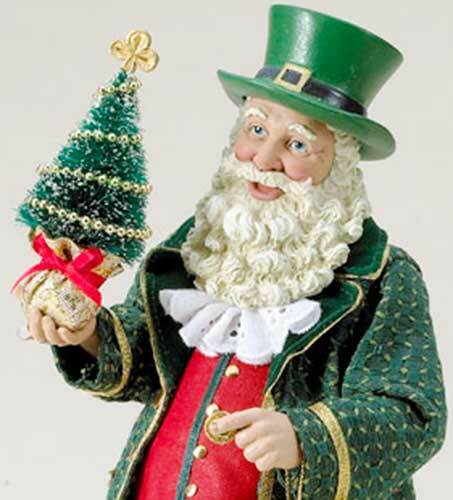 You may also wish to choose from a variety of Irish angle tree toppers or maybe from our selection of Irish Santa figurines. 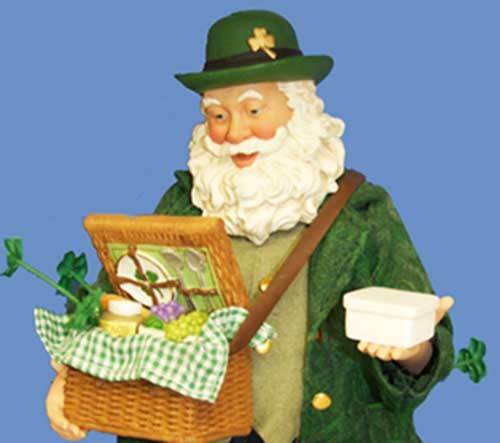 And because Jesus is the reason for the season you may want to take a look at our collection of Irish Nativity sets and ornaments that feature plenty of shamrocks.